Legs There are 7 products. 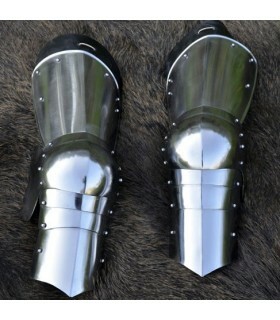 Protective pads for the legs of the whole, Gustav, manufactured in carbon steel with a thickness of 1.2 mm and The legs are adjusted by leather straps. End up just below the rodilals, so that it may accompany, or not, with a grebas. 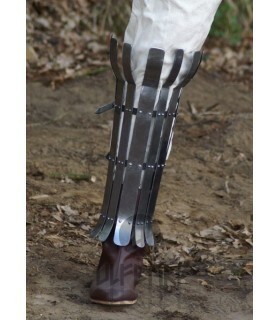 Medieval armor protection functional leg. 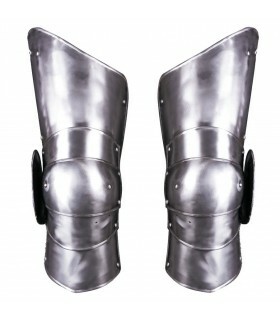 It Includes 2 pieces to protect both legs. They are made of mild steel of 1.2 mm. 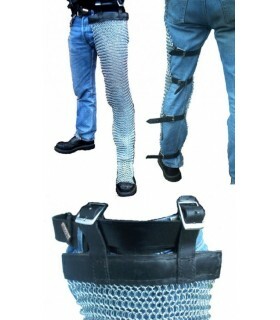 thick, wear buckles and leather straps behind and are articulated. 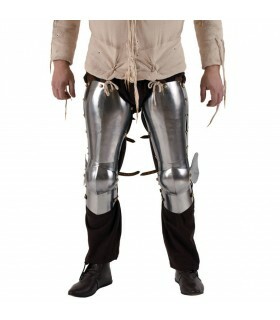 Protections complete for the legs belonging to the set Edward. 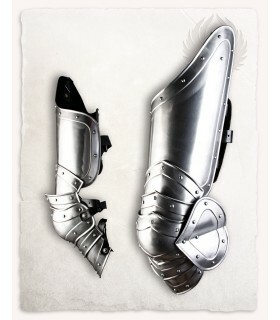 Are one size fits all, but will be able to use even the greatest heroes. Fit the legs by straps of leather. 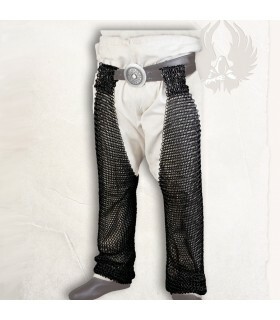 The protections end up just below the knee so that you can carry with or without grebas, according to the taste of the hero.